This is for the challenge coin / poker chip collector. 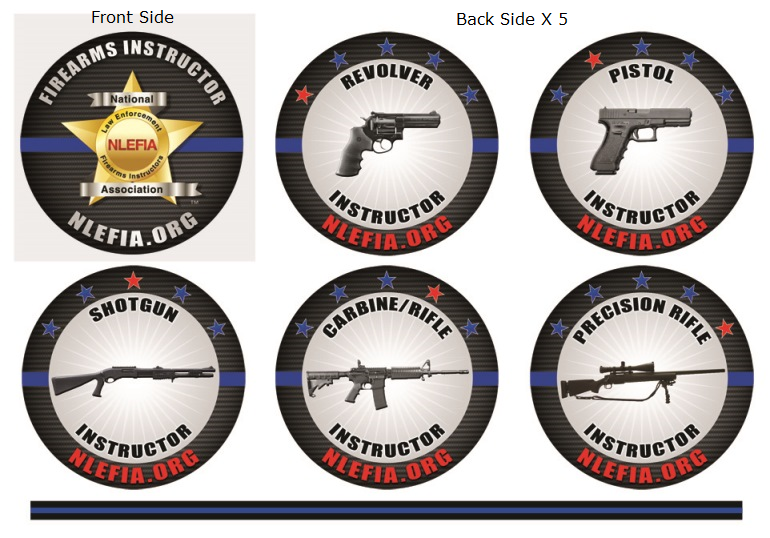 The Firearms Instructor (FI) series is five different ceramic coins, each representing a different firearm discipline. A great addition for those who collect challenge coins or poker chips. - Black ceramic coin - Size: 1.7 inch / 43mm diameter - NLEFIA star logo on the front side of each coin, and an image of a different weapon system on the back side of each coin - A different blue star is changed to red for each weapon system to give each chip additional distinction - Thin blue line around the rolling edge of the coin - Purchase any coin independantly or purchase all five coins at a discount! Ceramic coins have become a modern and less-expensive version of challenge coins. They are used in the same manner as metal challenge coins, and are often collected like challenge coins. Go to our Challenge Coin page for more information about how challenge coins are utilized.